Good: Funny narration, clever puzzle mechanics. Bad: some small bugs present. Looking for a fun co-op game for the Switch or just a cool puzzle game? Then Death Squared might be exactly the game you’re looking for. 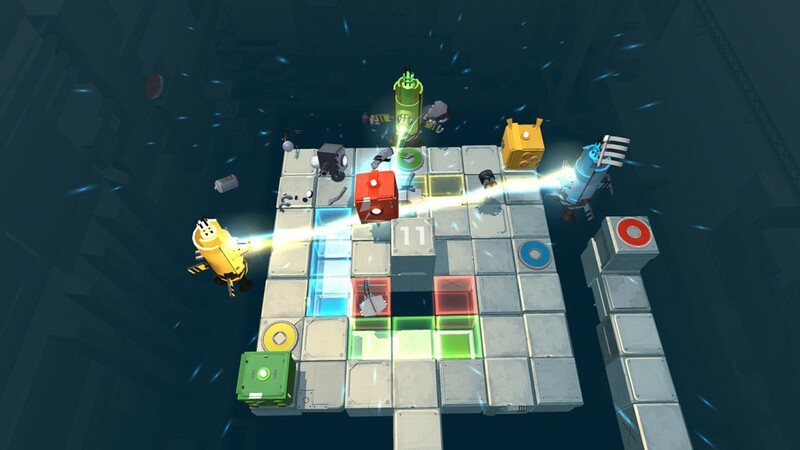 Death Squared lets you play through different levels where you try to puzzle out the right path to let the bots take so they don’t die while trying to get to the end goal. Prepare to die a whole lot in this game but still have fun while doing so. 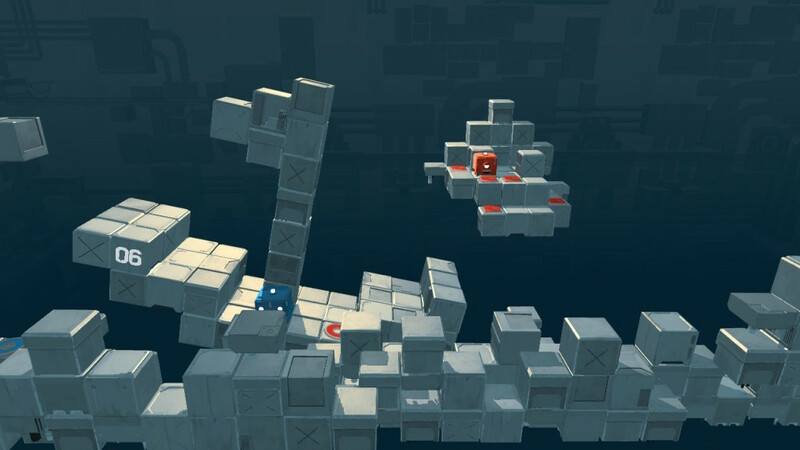 Enjoy the simple style from this game with clever made puzzles. 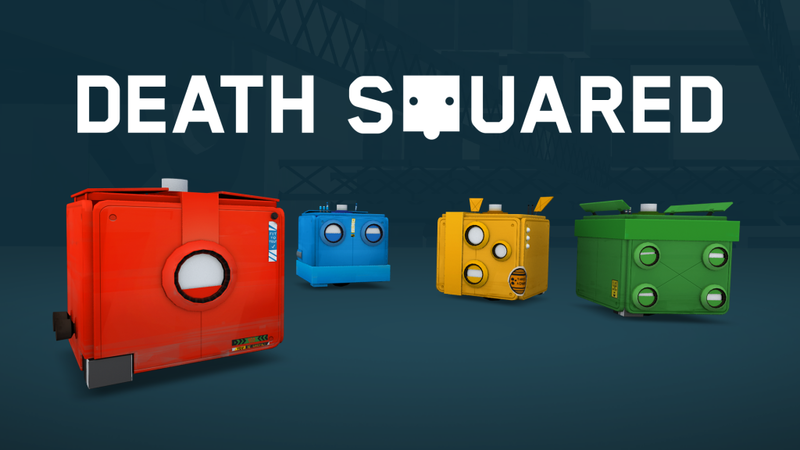 Death Squared is for all ages so play with your whole family, with your brothers, sisters, nieces, nephews or even let your grandma have a try. The story is mainly what you can figure out from the conversation between the narrator David and the A.I. Iris. 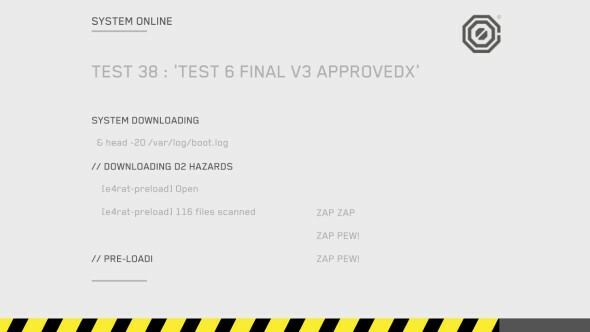 David is supposedly the technician keeping an eye on the bots taking the tests for artificial intelligence and Iris is there to assist him or rather keep an eye on him as well. David occasionally comments on your actions in the game like for example: “I have never seen them do that before” and “I didn’t know they could do that”. Almost every time one of the bots dies he gives a comment which mostly contains sarcasm or annoyance. Al tough his comments could start to annoy some people it really is a plus to the game since he does use references to popular persons and events. Some of his comments can occasionally make you chuckle. Between some levels you get a loading screen where they are supposedly loading a level this appears mostly if there is a longer conversation between David and Iris. David also occasionally gets company emails that are weird and a bit funny. Of course, he always gives his commentary about those. Those moments provide a nice break between dying and more dying. It’s not called DEATH Squared for nothing. There aren’t a lot of different textures used in this game but the ones they used look good even in table top and handheld mode. The lasers are really zappy and flashy which gives a nice sci-fi feel to them. The bots, of course, explode when they either fall off the platform, touch spikes or get hit by a laser. These explosions are well animated and let the bot’s parts fly but not over exaggerated. Colours are only present in some objects, the other blocks are grey and the background black, which makes the colours nicely pop. There are only 2 colours in story mode and 4 in party mode except for grey and black for the background, so you don’t get confused and can focus on the puzzle in front of you. Too many flashy colours in the background wouldn’t have given this game the same feeling and would have been more annoying than this simple look. The music is nicely soothing for a game that can provoke rage from being stuck at a certain puzzle. The voice of Iris (the A.I.) might remind you of GLADOS from Portal or even the google translate voice. Since there is no visual for either Iris or David their voice needs to show their emotion and they sure did that. When the bots explode they make a nice boom that would be satisfying if it wasn’t you that died. Death squared is a multiplayer puzzle game but can also be played alone, you just have to control two bots on your own then. In every level, you have to try to get the bots to their colour corresponding circle and if every bot (2 or 4) is on their circle at the same time you have solved the ‘puzzle’. In story mode, there are 2 bots that either you both control or you and a friend or family member control. This game is meant to work together so when you want to play with a friend or family member make sure you listen to one another. Because one misstep from either person could mean death for the other or the person himself. Death is a thing that is big in this game as there are only a few levels you might be able to go through without dying. All the rest you have to die to find out where the hidden spikes are or what that button does. When playing alone you might even die by mistakenly moving with the wrong controller which causes the wrong bot to move which in turn causes death. It takes a while to get used to controlling two bots at the same time because sometimes levels require fast responses or both bots to be controlled to be at the same time. 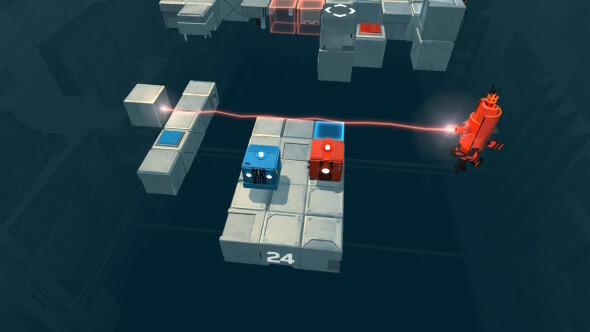 Everything in the game is colour coordinated which basically means that the red bot can go through red blocks, doesn’t get hurt by red lasers, can use red buttons and needs to go to the red circle and of course that means the blue bot can go through blue blocks, doesn’t get hurt by blue lasers, can use blue buttons and needs to go to the blue circle. 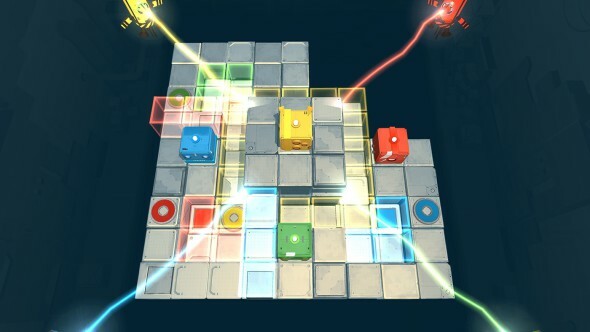 Each bot can get killed by the other colour laser, can’t use buttons/circles that aren’t their colour and can’t go through blocks that aren’t their colour but they can stand on it though. All this leads to some interesting puzzles that make use of every single thing. Of course, this also counts for the yellow and green bot that join the red and blue bot in the party mode. The first level starts of easy but every level gets harder but has some simple solutions sometimes but not everyone thinks the same so some puzzles are harder for one person and easier for another person. When you play alone you have to figure the puzzles out yourself unless you look up a walkthrough but when you play with other people you can put your heads together to figure out the puzzles. So playing alone doesn’t have much advantage over playing with friends or family. Both have pros and cons and end up about the same. Party mode makes you able to play with 4 people at the same time or 2 people with each 2 controllers and if you’re creative you can play with three people and have one player have 2 controllers and the other 2, 1 controller although this makes things a bit harder for the one person at least it’s possible. At level 4 in the story mode, there is also the ability to customize your bot which you can later change in the pause screen. There is also the vault which provides extra levels after you played every level in story mode and extra levels after you played every level in party mode. The vault levels have more a kind of theme to them, for example, there is a level that depicts a boat on waves called Bon Voyage or a level called Bodyguard Bodyguard where as you might guess the blue bots act as bodyguard for the red bot. Every level in the vault is a tad harder and weirder than those in the party and story mode but that’s what makes them fun. 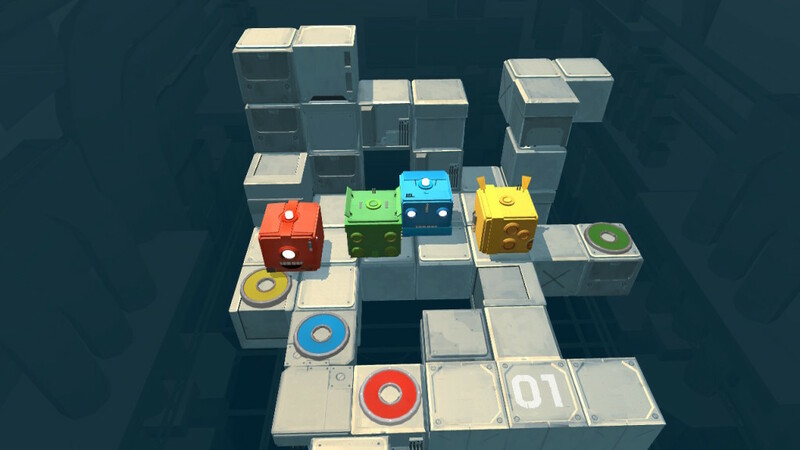 Death Squared is an incredibly fun game for both young and old. It’s fun to play together with a group of four or less and stays fun even if you play alone. Bring this game to family gatherings or just when you hang out with friends and you will have a good time guaranteed. That’s why this game is really fun for the Switch since you can bring the Switch everywhere you go. This game is a must have for anyone who owns a Switch just because it’s enjoyable for anyone that wants to pass the time or have fun with some friends or family members.